It’s finally here! 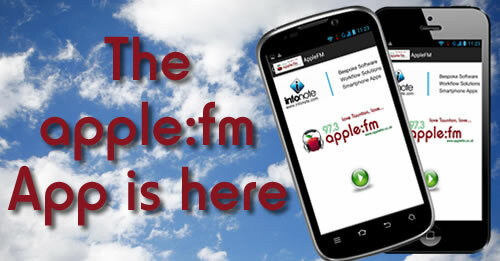 To mark the Second anniversary of Apple FM’s launch we are very hAPPy to launch our first App. You must make sure you don’t forget to complete the Preferences page on the App so you can send your requests or competition entries to the station. The App is currently only available on Android devices with an App for Apple devices coming very soon. Watch this space!